It's one of the great forgotten formats, with billions of miles of magnetic tape clogging the planet's landfills. In certain circles though, the cassette retains a nostalgic appeal, even if its apogee might have been Bow Wow Wow's jaunty ode to the joys of the Walkman 'C30, C60, C90, Go!' way back in 1980. Retro enthusiasts now have their own day with the inauguration of Cassette Store Day on September 7, after a tentative event in Glasgow in May 2012. A response to the global popularity of Record Store Day, the event, supported by hipster labels like 4AD and Bella Union, is, according to organisers, "a celebration of a physical product that is accessible, fun, cheap and still going strong in the turbulent current musical climate." Long before MP3s, the cassette tape was regarded as a threat to the music industry. Albums were routinely labelled with a skull and crossbones and the assertion that "home taping is killing music". It didn't of course, it merely created a handy way for teenagers to share their favourite songs on a mixtape or for salesmen to make a Chris Rea compilation for those long motorway trips in the Audi. 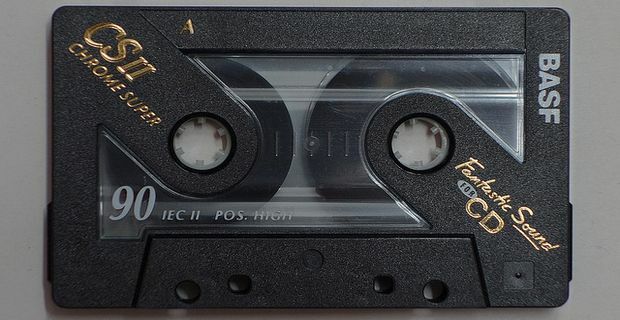 Inspired by a sense of perversity and retro-fetishism, there are now several labels that specialise in issuing new music on cassette as a "budget option" (even if digital files would seem much cheaper to produce). "Going strong" might be a slight exaggeration but, despite the dubious sound quality of magnetic tape, it seems there is still a market for cassettes. Cassingle sales trebled in 2012, but this was achieved mainly through 600 or so sales of the Feeder song 'Borders'. To mark Cassette Store Day, several albums that never appeared on cassette will be issued in the format, including music by Flaming Lips, Deerhunter, At the Drive-In and The Pastels. Next, anyone up for MiniDisc Store Day?